This is a Warm Up activates large muscle groups to build up heat in the body preparing an individual for a great workout! It incorporates spinal flexion, extension, rotation, and side bending to prepare individuals for a safe and effective workout. Sarah is a Master Pilates Instructor & Educator offering Pilates Teacher Trainings and Workshops throughout the country and abroad. Like many Pilates instructors, Sarah's movement education is rooted in a lifetime of dance training. She has been teaching dance, Pilates, and yoga for over 15 years and has a strong passion for continuing education and helping others to feel great & live with "spontaneous zest & pleasure"~JP. She has taught at University of California, Santa Cruz, Cabrillo College, Mission College, and at numerous Pilates studios and fitness centers. She currently teaches at her studio, Bali Body Pilates, in Santa Cruz and at College of San Mateo. Sarah is available for hire as an On-Site Master Instructor through Balanced Body. Sarah is the Founder and Director of College of San Mateo's Pilates Instructor Certificate Program (PICP), offering high quality education at an affordable community college price. Students who graduate from her program also qualify to receive a Balanced Body teaching certificate and the ability to sit for the Pilates Method Alliance Certification exam. To find out more visit www.collegeofsanmateo.edu/pilates and/or call Sarah to find out more details! 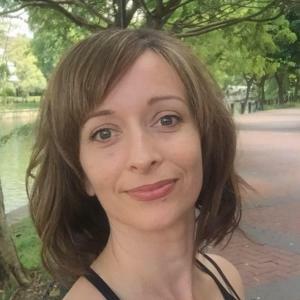 As a Balanced Body Faculty member, Sarah offers On-Site Mat, Reformer, Apparatus, Anatomy In Three Dimensions, and the *NEW* Balanced Body Barre certificate courses. She also offers CEC workshops via Balanced Body and Independently. Visit her website to learn more. www.balibodypilates.com ... read more.